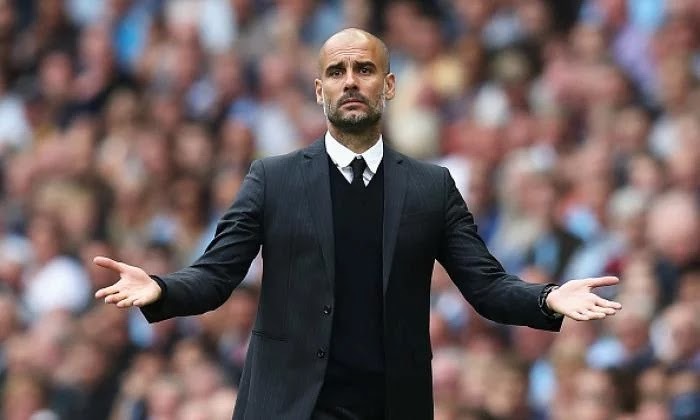 Pep Guardiola has quashed rumours about his rivalry with Jose Mourinho, insisting he would share a glass of wine with the Portuguese boss after their first Manchester derby. The animosity between the pair has been the subject of much discussion ahead of Saturday's clash, after the tumultuous relationship the two shared whilst in charge of Real Madrid and Barcelona. The pair first met 20 years ago when the Portuguese joined Sir Bobby Robson's backroom team at the Camp Nou, where Guardiola was the heartbeat of the side in midfield. “We spoke fluently with Ronald Koeman, with Tony Pulis and so on, and it was correct. That's all." Guardiola was in attendance for the last Manchester derby, a 1-0 win for the Red Devils back in March at the Etihad. Yet the 45-year-old is keen to experience the atmosphere first-hand for himself before comparing it with other derbies he has experienced in world football. The Citizens boss added, "In Barcelona, in Madrid every year was the most beautiful derby in the world. Let me live this derby and after I can tell you how it can compare with, in Spain Barcelona-Madrid, and Munich-Borussia Dortmund. “I'm so happy to be here and to live for the first time in my life a derby in the Premier League and we are going to try to do our best."